Consistently rated as a “Top Earner” in amusement industry publication reader polls. A FEC “must have” mainstay piece for every game room area with years of proven revenue for locations. Skillful ball drop game for X-treme ticket wins! Simple quick drop formula for player satisfaction that equates to operator success. 13.5’ high eye-popping presentation in an X-tremely compact footprint. Progressive Jackpot Ticket Bonus feature. 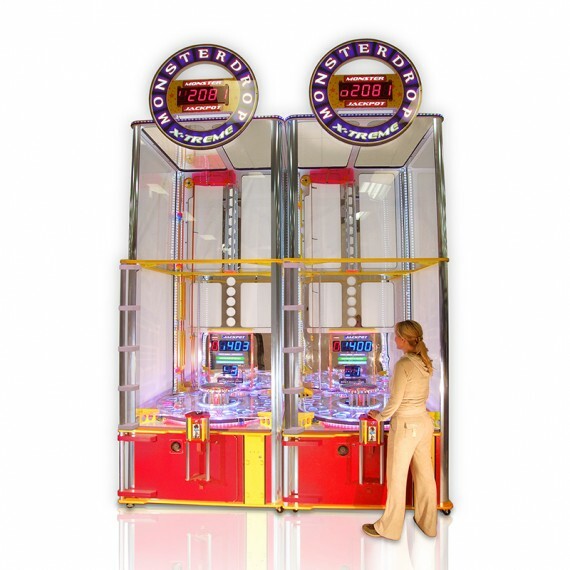 X-treme size ideal for anchoring bank of games, increasing traffic to outlet, and revitalizing revenue performance. Create a “Wall of Wow” with other X-treme games and cranes to maximize visual impact and revenues.